The government of Turkmenistan (specifically the State Publishing House) invited me to participate in a program designed to improve early childhood education in Turkmenistan by increasing awareness of the importance of children's literature and reading to children. I was in Turkmenistan from September 21-28, 2013. 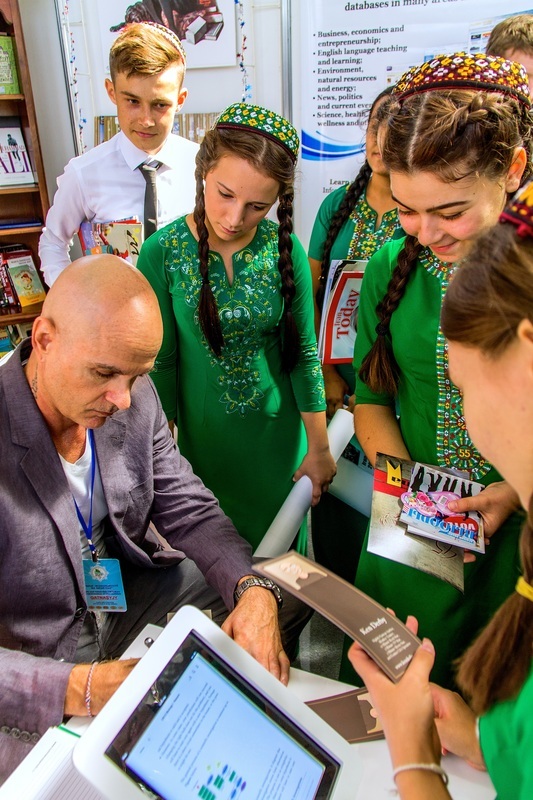 As I did last year, I met with children, educators, authors, and government officials in an effort to increase the amount of children's books published in Turkmenistan. Additionally, I participated in Turkmenistan's 2013 International Book Fair. I briefed various persons about the impact of reading on literacy and what to look for in selecting good children's books. I wish to thank the combined efforts of President Berdymukhamedov, the government of Turkmenistan, the State Publishing House, and the U.S. Embassy (in Ashgabat) for bringing me to Turkmenistan. It was once again a memorable trip, and it was an honor to fill the role of "Literacy Ambassador to Turkmenistan." Turkmenistan is a beautiful country and the Turkmen people are wonderful. I will never forget their kindness and hospitality . . . and I hope to return for visit number five someday. One last thought . . . my next goal is to write a sequel to Mischief of the Stuffed Animals and have it published by the State Publishing House in Ashgabat, Turkmenistan. I also hope to have my award winning book, The Top 10 Ways to Ruin the First Day of School, translated (into Turkmen and Russian) and published by the State Publishing House in 2014.